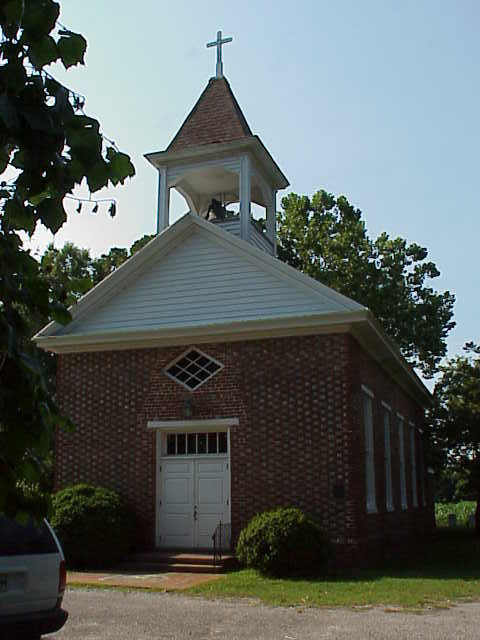 Accomac - previously known as Drummondtown, now serves as the county seat. 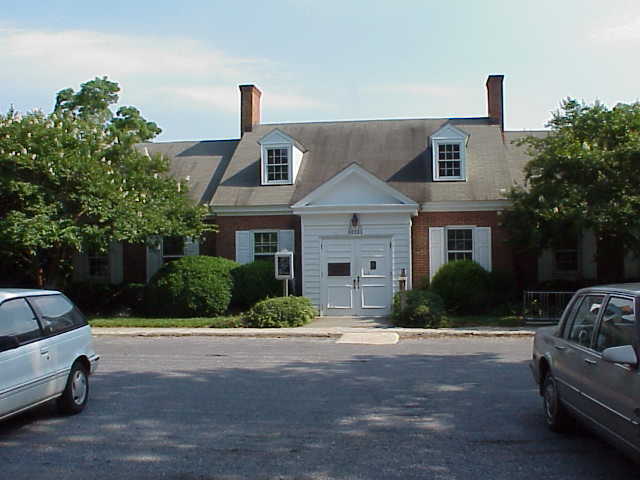 The Post Office was established here on 12 Jun 1792 as Accomac Court House. 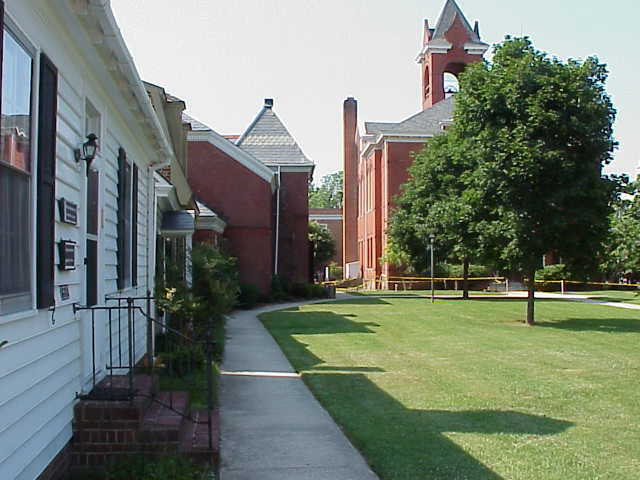 Click HERE for more information on Drummondtown / Accomac. Ann's Cove - on the bay side at Guilford Creek where it enters the bay. Assateague Island - a long barrier island in the ne part of the county, divided by the Maryland line. To the w of the island is Chincoteague Island and the community of Chincoteague. The island now forms the Assateague Island National Seashore. Assawoman Creek - a large creek in ne part of county, seaside, emptying into Woman's Bay at the sw part of Wallops Island. It is the Indian word for Rock Cave. Belinda - a small community in nw part of the county, n of Messongo Creek and south of Sanford. A post office operated here until 1940. Bell Haven Post Office - located in the se part of the county. Bluff Point - a mall point of land on the nw part of Hacks Neck, sw part of county. Boggs Warf - sw part of county, w of Melfa and on Pungoteague Creek. A Post Office was established here in 1879 as Boggs Warf, Frank T. Boggs, Postmaster and reneamed in 1894 as Boggs; but discontinued in 1913. Bull Cove - a small cove in Scarborough Neck entering the Bay. Bundick Creek - small creek in middle of county, seaside, between Parker Neck and Whites Neck, emptying into nw corner of Metompkin Bay. Its headwaters are near the village of Metompkin and goes SE to the north end of Metompkin Bay at about L75d35m lat 37d45m. Cashville - sw part of county, between Finneys Neck and Broadway Neck. A Post Office operated here from 1885 to 1909. Cedar Straights - a body of water sepaarating the Eastern Shore and Chump Island. Cheeseman Island - a small island north of Shanks Island and south of Smith Island. Chesconessex - sw part of county and n side of Chesconessex Creek. A Post Office operated here from 1885 to 1911. 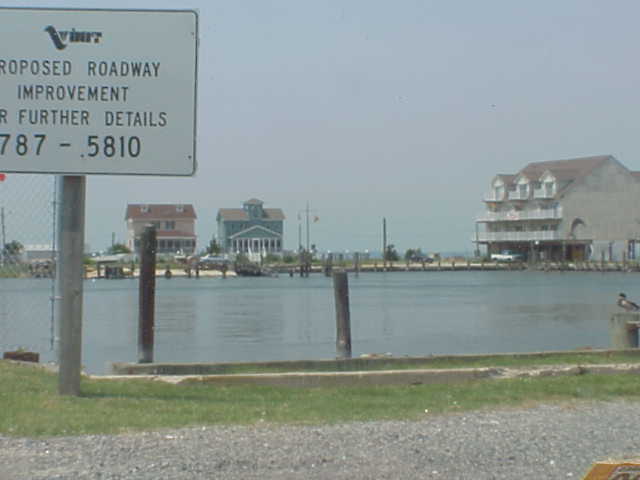 Chincoteague - a small town on Chincoteague Island, ne part of the county. Click HERE for more information on Chincoteague. A Post Office was established here in 1853. Chump Island - a small island in the Chesapeake Bay, nw part of county, at Cedar Straights and just below the state line. Clam - in nw part of county, n of Parker Landing and w of Hopeton. A Post Office operated here 1910-1914 and 1919-1934.
in extreme southern part of county on Rt. 13, n of Exmore and near Painter. Coocheyville - a small community on Hacks Neck, sw part of county. Cod Harbor - a small body of water adjacent to the east side of Tanglier Island. Craddock Creek - a creek on the bayside, sw corner of county, counded by Scarborough Neck and Craddock Neck. Craddock Neck - a jut of land on the bayside, sw corner of county, counded by the Bay, Craddock Creek and Nadua Creek. Daugherty - se part of the county, e of Onley and n side of Custis Creek. A Post Office operated here between 1887-1969. Davis Warf - a small community on Scarborough Neck on Occohannock Creek. A Post Office operated here between 1874-1993. Dreka - nw part of county, on Pocomoke Sound n of Sanford. A Post Office operated here 1891-1909. The post office was at Shad Landing and named by the Postal Department. 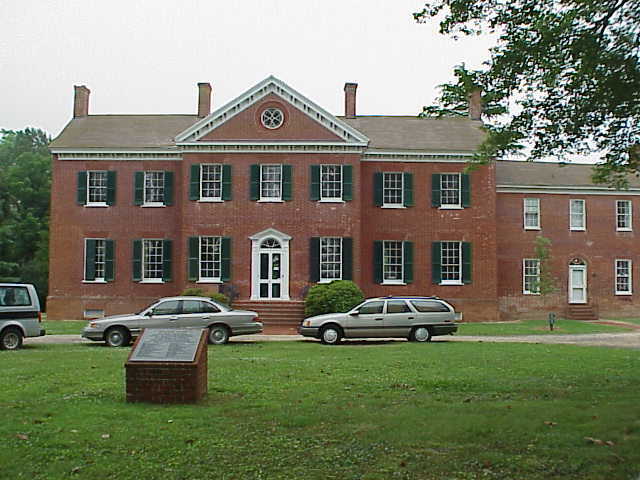 Drummondtown - previous name for Accomack Court House, now Accomac. 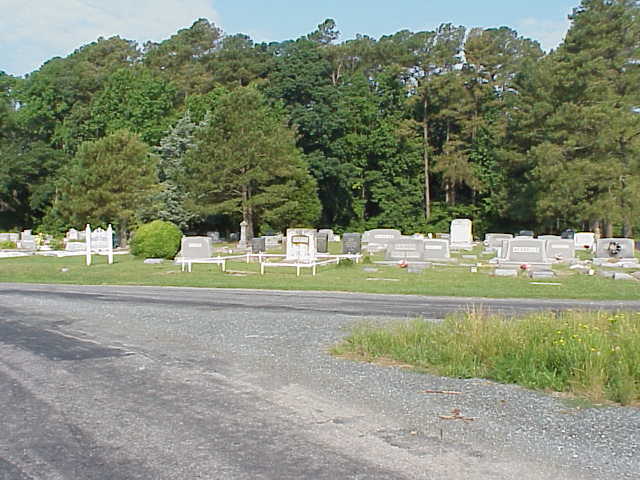 Click HERE for more information on Drummondtown / Accomac. 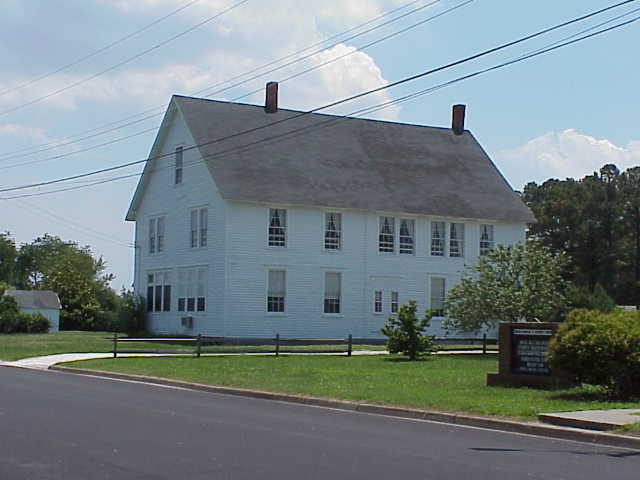 A regional library serving Accomack and Northampton Counties. It has an excellent local history and genealogy room. 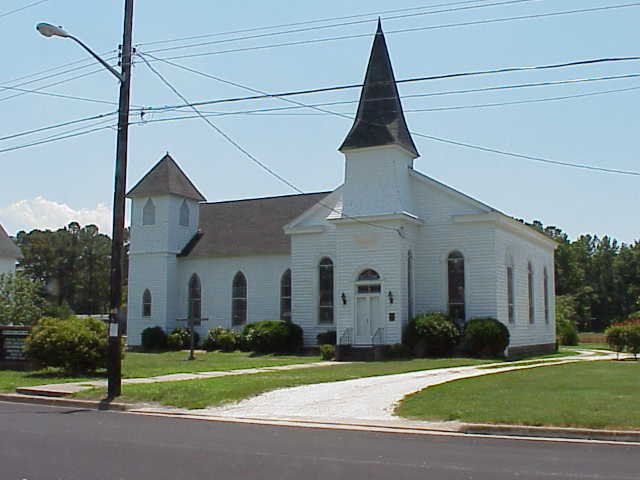 Located in Accomack on Business 13 north of the courthouse. Evans Warf - sw part of county, w of Onancock on Pungoteague Creek. A post office operated here 1884-1909. Fishbone Island - a small island just north of Goose Island, in the Chesapeake Bay. Great Fox Island - a small island in the Chesapeake Bay, nw part of county, just south of Chump Island. Great Thorofare - a body of water in the Chesapeake Bay separating Great Fox Island and Little Fox Islands. 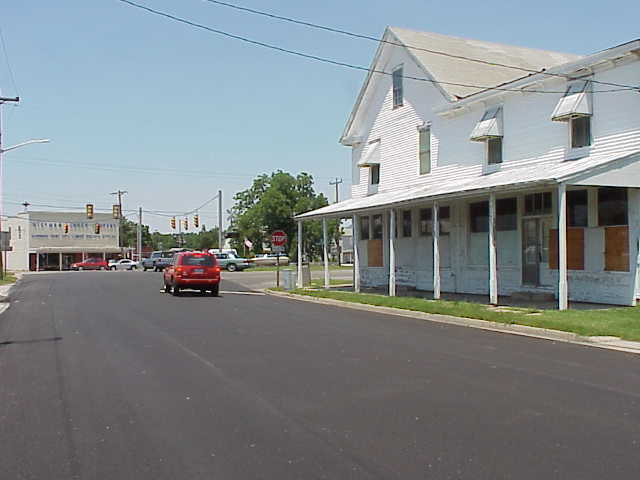 Greenbush - middle of county, n of Accomac and e of Bayside; post office established here 1909, the RR station was Green Bush, previously known as Eliza's Flat until Stewart Mathias named the town after his evergreen bush. Goose Island - a small island just north of Tangier Island. Guard's Shore - An area to the north of the mouth of Guilford Creek at Ann's Cove. Guilford Creek - a large tributary to the Chesapeake Bay at Beasley Bay, west of Bloxom. Also known as Muddy Creek. Harborton - a small community on the ne part of hacks Neck in the sw part of the county, on Pungoteague Creek; post office established here in 1874 as hoffmans Wharf and renamed Harborton in 1891, James W. Hoffman was postmaster. Helltown - "Helltown, at a cross road in the upper part of this county, and theretofore marked only by a rickety hut with a single inhabitant, has been bought by Messrs George parks and S. R. Nelson, will proceed at an early date, by the erection of dwelling houses, store house, blacksmith shop & c., to convert it into a first class business place. In the future it will be dignified by a name suggestive of less warmth, to wit, Nelson park." On 15 Feb 1883 a newspaper article printed: "A cross road in the upper part of our county, heretofore called Helltown, now goes by the name of Nelsonia, after Mr. Spencer R. Nelson, who has purchased most of the real estate thereabouts....."
Hollies Church Branch - a tributary to Warehouse Prong, and ultimately Pungoteague Creek. Horntown - located on a navigable sream (1836) by which vessels clearning 6-8" of water assend within a mile of town; post office operated 20 Mar 1793 - 21 Oct 1862 and reestablished 26 Dec 1862. Name first appears in 1744 when Daniel Gore petitions to build a road from a place called the Hornes. A later court order noted the cross roads by a placed called Horn Town (Whitelaw), A Gazetteer of 1835 puts it on the Postal Road leading to Snow Hill with a population of 150. Hyslop - in Scarborough Neck, originally known as Bulls Town, named after leonard Bull. A post office operated here 1917-1926. Little Fox Islands - a group of small islands in the Chesapeake Bay south of Great Fox Island, nw part of county. Jobes Island - on the bay side at the confluence of Guilford Creek and the Bay. The island looks like a cane and the tip of the cane points to Guard Shore. John's Point - a small jut of land at the sw end of Scarborough Neck overlooking the Bay and Occohannock Creek. Justiceville - nw part of county, on Bagwell Creek, w of Parksley; a post office operated here 1888-1962. George Justis and levin Cowson were partners in a general store. The Postal Service rejected the name Crowson because there was anothe post office by that name in Tennessee. According to the Penninsula Enterprise, 2 Jul 1888, a post office was established at Crowsontown by the name of Justisville. Keller - a small community in the southern part of the county, on Rt. 13 between Hacks Neck and Wachapreague. It dates from the coming of the New York, Philadelphia and Norfolk division of the Pennsylvania Railroad through the Eastern Shore Peninsula in 1884. All of the land on which Keller is built was owned at the time by B. W. Mears and John R. Downing, and the former gave the site for the railroad station, about two hundred yards west from his homestead. He also laid the foundation for the town by opening up a number of streets. It was named for John Keller, the contractor who built this section of the railroad. In 1929, its population was about 350. (contributed by Jack Burn, olde ghote) A post office was established here in 1862, originally known as Pungoteague Station. Mailboat Harbor - a body of water on the ne side of Tangier Island. Mears Station - nw part of county, just east of Mearsville and s of Hallwood; post office established here 1900 and named for Albert F. Mears. Messongo - a small community west of Temperanceville and south of Holden's Creek; post office operated here between 1837-1893, restablished 1900 at Hammocks Wharf and discontinued 1904; reestablished 1909-1963. Metompkin - ne part of the county on the seaboard side, in White's Neck; post office established here as Woodlawn in 1845 and renamed Metompkin in 1846, discontinuted 1868, reestablished 1873; renamed Metomkin in 1912 and discontinued in 1931. Milby's Point - a small jut of land off the extreme nw corner of Craddock Neck. Miona - the town in which this post office (1901-1911) was located was known as Pittsville, but htere was another Pittsville in Virginia. The local tradition is that it had a man's wife who died and he went crying "My Ona, My Ona;" hence the name. Miona is located on Rt. 705. 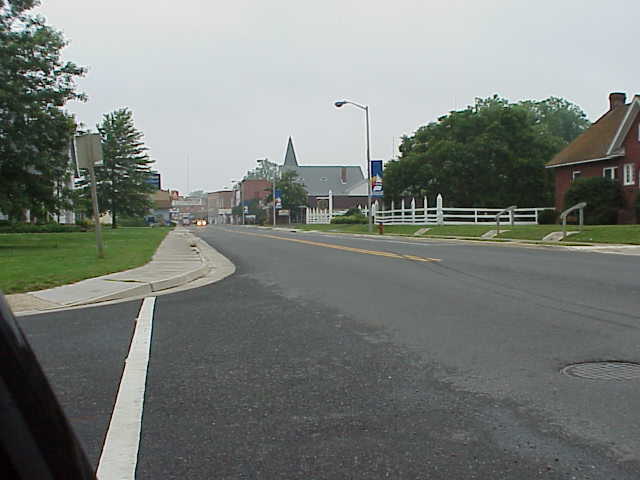 Modest Town - located about 10 miles east of Accomack. In 1836, it was abundant with fish, oysters, and clams; post office established here as Modesttown and discontinued 1861, reestablished 1861 as Mappsville and renamed 1862 as Modest Town, discontinued 1888. In the late 1800s it was called Sunderland hall. Traditions says that the name is from two ladies who kept a borarding house there. Monadox Point - a small jut of land on Hacks Neck at Nandua Creek, bayside, in the sw corner of the county. Moore Branch - a small tributary to Warehouse Prong, and ultimately, Pungoteague Creek. Muddy - on Rts. 658 and 688 w of Mears, named for Muddy Creek; post office operated here 1882-1885. Muddy Creek - a large tributary to the Chesapeake Bay, entering the Bay at Bailey Ridge at Old Cove. Also known as Guilford Creek. Nandua Creek - a large creek emptying into the Bay in the sw corner of the county, bounded by Craddock Neck and Hacks Neck. Nickawampus Creek - small creek in the se part of the county, with headwaters at Melfa and emptying intoHammocks Cove, on the seaside. a town in the sw part of the county on Onacock Creek and w of Onley; post office established 1826. Onancock is Indian for Foggy Place and it was the stronghold of Ekeeks, King of Onancocks. Town buildings were started in 1680. Of the 19 charters granted to Virginia settlements, only 4 still exists: Norfolk, Tappahanock, urbanna, and Onancock. In 1912, the post office was handling 65,000 pieces of mail each month. Onancock Creek - situated about 8 miles sw of Accomack. Onley - a small town in the middle of the county on Rt. 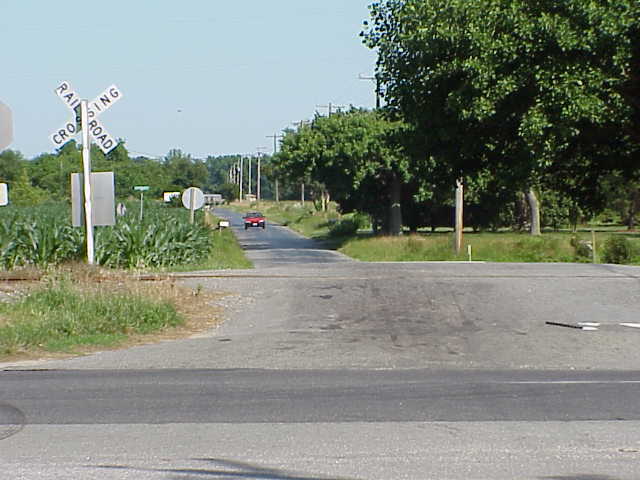 13, se of Onacock, originally known as Crossroads. According to Ebb And Flow by leonard W. Johnson, the Post Office was established as Only in November, 1885 and the town's name was changed from Crossroads to Onley in February 1886. It is speculated that the name originated from the home of Governor Henry A. Wise. According to Whitelaw, the land had been owned by a Francis Ondley. Parkers Island - a small island in the Chesapeake Bay, just west of Sluitkill Neck and north of Finneys Island. Parksley - a small town in the middle of the county, on Katy Young Branch. Click HERE for more information on Parksley. Pungoteague Creek - a large body of water emptying into the Chesapeake Bay, bounded by Hacks Neck and Sluitkill Neck. Sandy Point - a small jut of land on the sw end of Craddock Neck. Scarborough Island - a small island just west of Sluitkill Neck at Pungoteague Creek, sw part of county. Scarborough Neck - a large jut of land on the bayside in the sw corner of the county, bounded by Occohannock Creek, Craddock creek and the Bay. Shanks Creek - a creek running north/south at Smith's Island. Shanks Island - a small island in the Chesapeake Bay below Smith Island. Silva - located north of Horntown on Rt. 679; post office operated here 1900-1942; Named Signpost (for the sign firecting to Greenbackville, Horntown or New Church) refused by the Post Office as too similiar to Sign Pine, VA. Thomas petit, latter a Postmaster suggested Silva, which is Latin for woods. Tangier Sound - a large body of water between the Eastern Shore and Tangier Island. Tarkill Creek - a small creek on the west side of Sluitkill Neck, adjacent to West Point. Taylor Creek - a small creek feeding Pungoteague Creek, sw part of county. Watts Island - an island in the Chesapeake Bay between the Eastern Shore and Tangier Island. Webb Island - a small island in the Chesapeake Bay near Savage Island and Doe Creek. 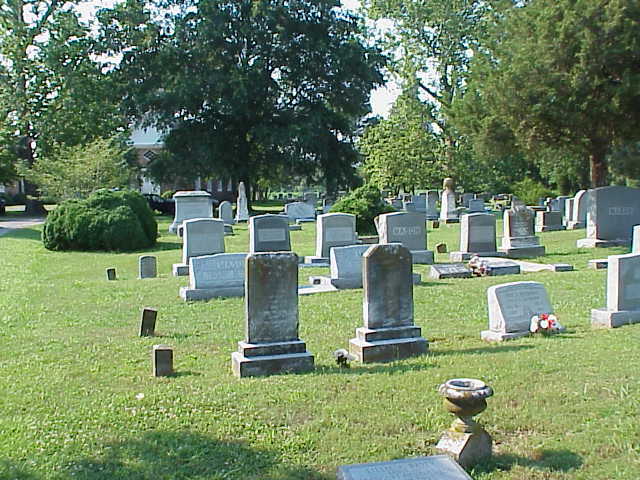 Wessells Cemetery - near Bloxom. Located in downtown Accomack across from Courthouse.